If you’re anything like me, I love having some a subject included in my creative photography ideas. The subject could be a person, animal, or any type of object. I always feel like my photos are missing something when I don’t include a subject as the main focal point of my photos. Don’t get me wrong, I can still appreciate shots without a subject. I just love experimenting with new creative objects in my images. New objects always give me new creative photography ideas. I’ve outlined a few of my favorite items that will help your photos stand out from the rest! Incorporating these objects will help bring your creative photo feed to life. First off, the photography glass lens ball. You’ve probably seen this item across your Instagram explore page or whichever photography platform you peruse. The photography lens ball is simply a glass ball that creates a unique image as you photograph it with your lens. What you see through the lens ball is typically flipped and creates a creative photo when photographed correctly. 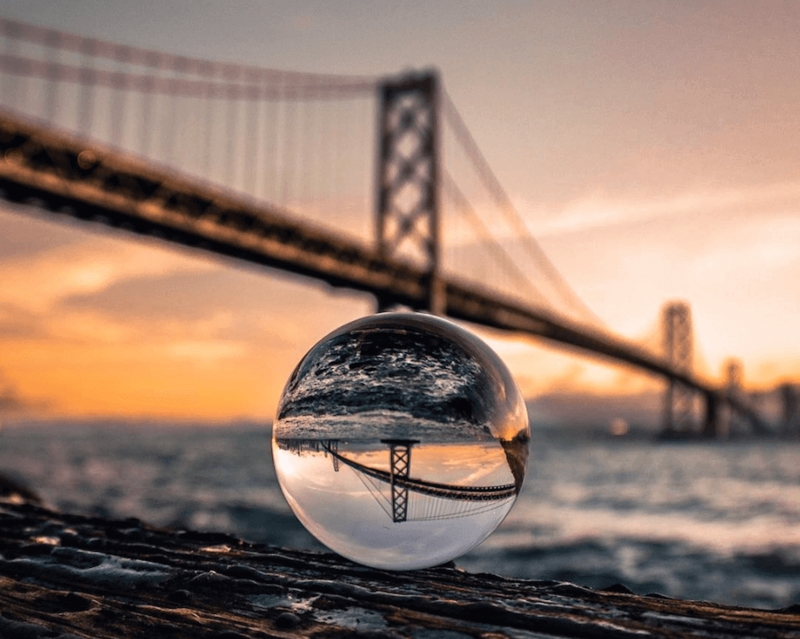 Must Read: Check out my full blog post on using the glass crystal ball for Lensball photography. 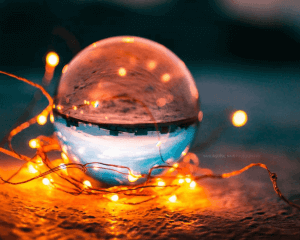 While there are brands that sell the glass crystal ball, your best bet is to buy the glass Lensball on Amazon since it has several positive reviews. You can rest assure that the folks at Lensball will provide you with a quality creative accessory. The two ideal sizes for Lensball photography would be the 60mm lens ball or the 80mm lens ball. You can probably imagine how a lamp might be a good idea for an object for pictures. 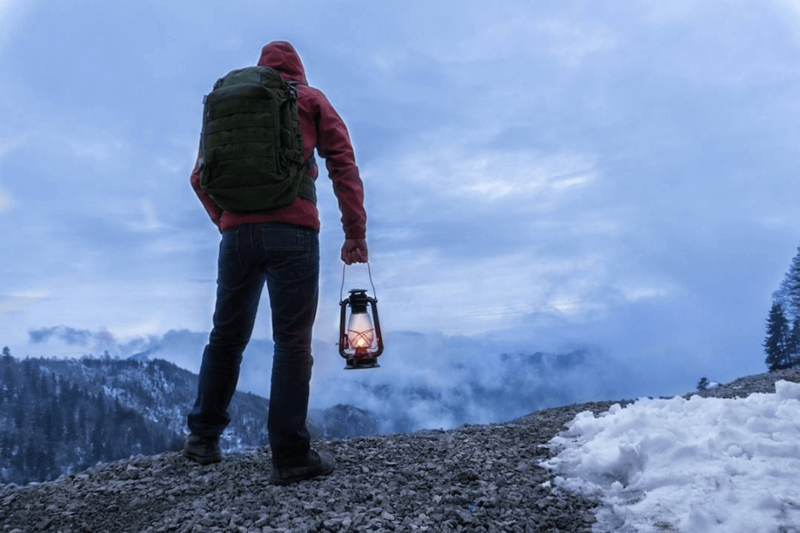 If you purchase an oil lamp, you can use them for some cool outdoorsy shots for your creative photography ideas. You can use the lamp as a means for light when you’re shooting in the dark. You can get a lamp from a variety of places, but I’d recommend a quality lamp so you don’t end up starting a forest fire or a fire in general… Be safe out there. The best creative photography ideas do not include fire hazards. Next up on the list we have the fairy lights. This is a growing trend where photographers take cheap string lights and use them to create bokeh shots for their portraits. Not only can you use them for portraits, but photographers have used fairy lights to fill up or wrap around anything. Must Read: I wrote a full blog post on string lights and the best practices for fairy lights photography. For example, these fairy lights have filled mason jars to create incredible night photos. 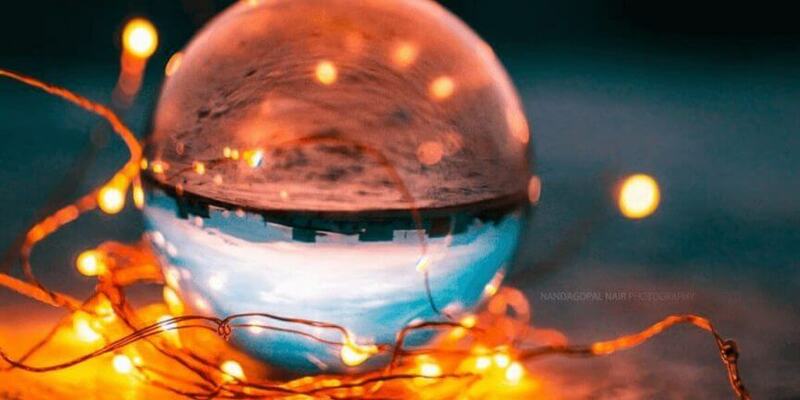 Heck I’ve even seen the fairy lights wrapped around the photography glass ball. 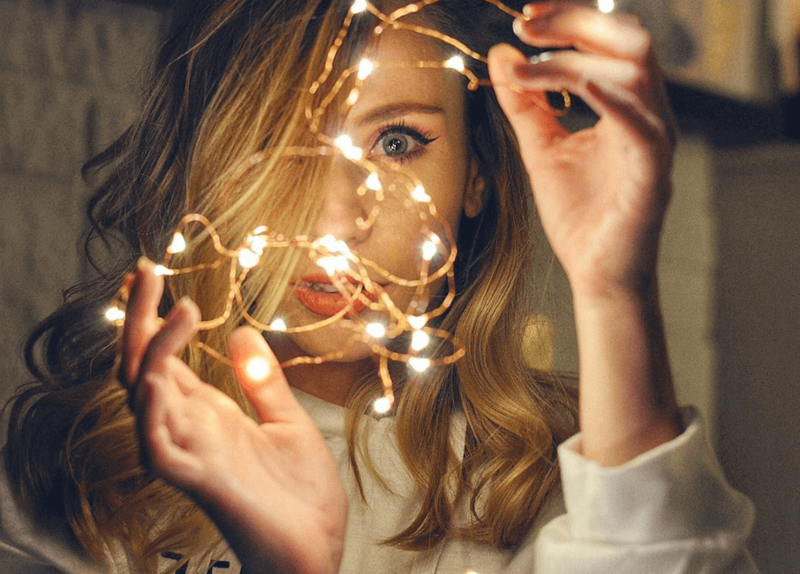 These string lights are incredibly cheap and once again, you can get them off Amazon for a great price and you will be able to achieve these exact creative photography ideas. Haven’t seen the compass used in many photos, but a compass would be a great idea to use as a prop for creative outdoor photos. 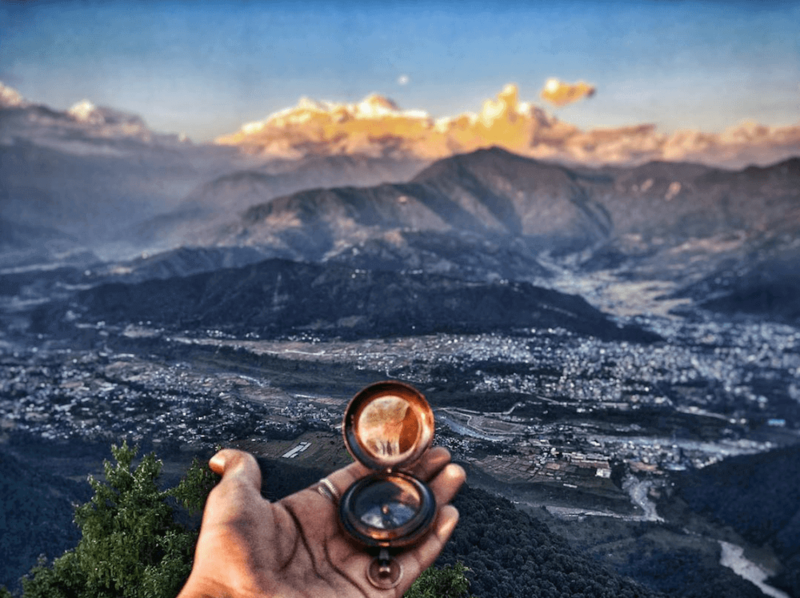 I’m sure you can get great landscapes and photos on hikes, but a photo with a compass would make for some great shots as well. You can get these compasses for cheap and they are both functional and nice. Regardless, if you’re a photographer or not. You’ve probably seen photos of mugs everywhere. People just love documenting their beverages… Mugs are very photogenic and it just seems like everyone can relate to a nice cup of coffee, tea, water, or even wine. 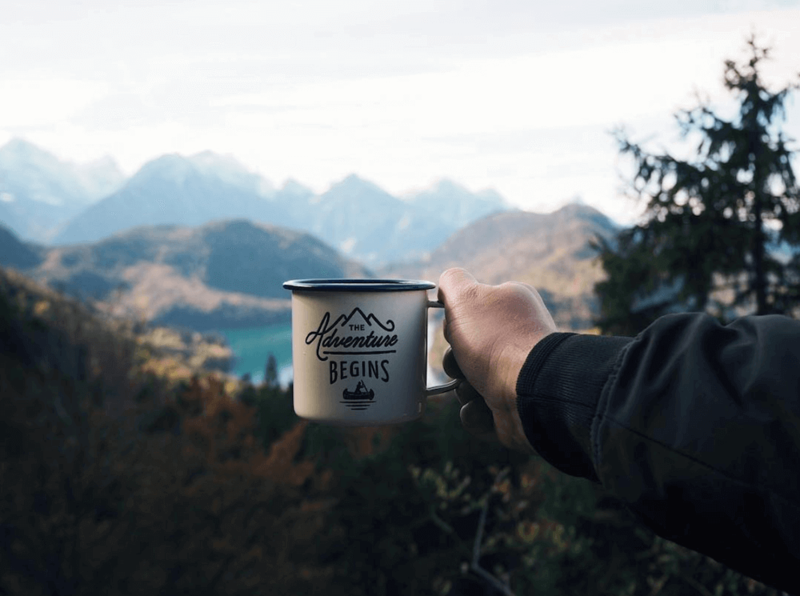 You can essentially use any type of mug, but the most popular ones I see in photos are the adventure begins mug with writing on them or the campfire mugs. Step up your creative photography game and step up your beverage game while you’re at it. Sick of the outdoor items yet? Well… I got one more for you. Hammocks are a cool way to add creativity to your photos and not only will they make your photos stand out, they’re actually quite functional. 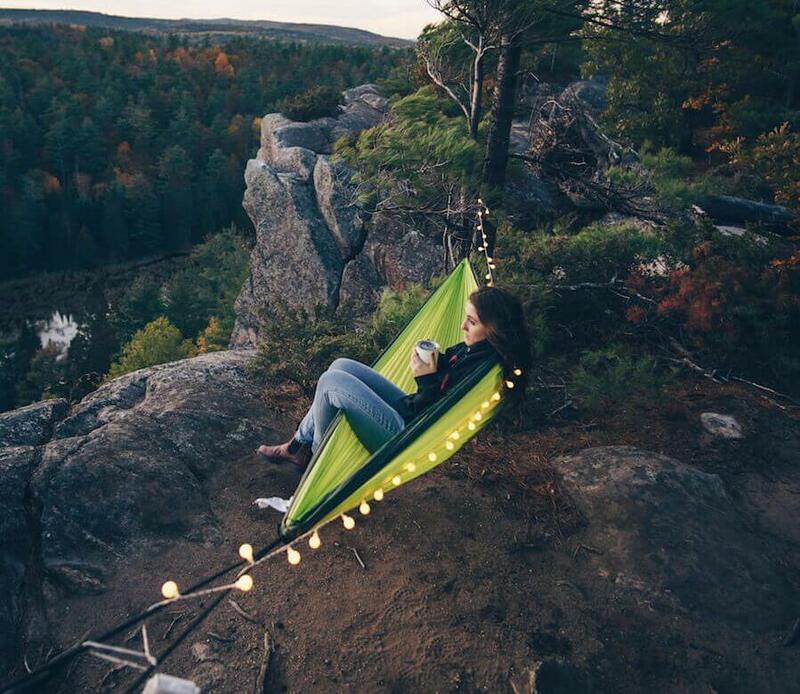 You can buy a cheap hammock and they will be perfect for those long hikes. Enjoy the view while hanging between two trees. Glasses are the one of the most underrated items that you carry. Big deal… they let you see. But more importantly, they can make your Instagram feed light up with some wicked creative photos. The way you can use eyewear to help your photos stand out is by focusing your camera through your eyewear lens. 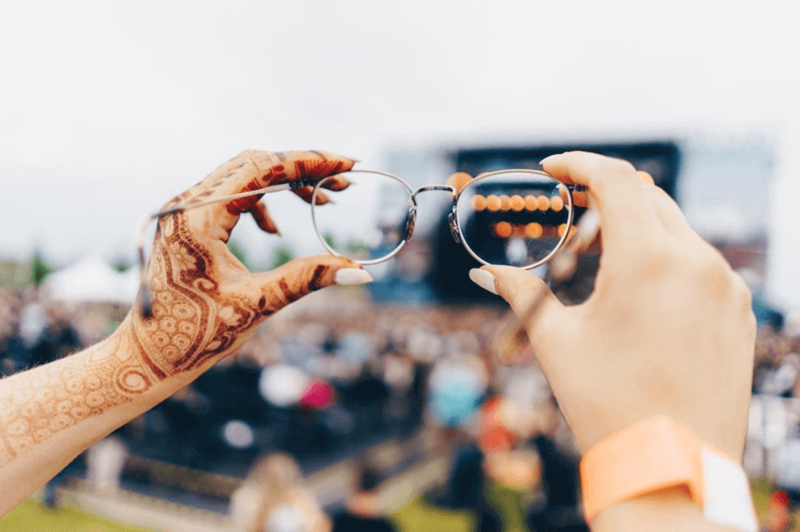 By focusing through your glasses, you get a nice bokeh and blurriness basically everywhere around your eyewear lens and this creates a sweet effect. Couple this effect with great scenery or an object and you get a creative shot. You can grab a cheap pair of vintage frames from Amazon for less than $15. These are just some of the items that I have used for creative photography ideas. I have seen many other photographers use these items with great success as well. Have a recommendation for an object to help produce some creative photos? Leave a comment below and I’d love to see what I can add to the list!